I was recently using del.icio.us to add a menu item to my Web OS Start Menu, when it struck me how I was essentially using del.icio.us as a web-interface for a desktop app. Could it be that del.icio.us is the "Windows Registry" of the self-assembling Web OS? 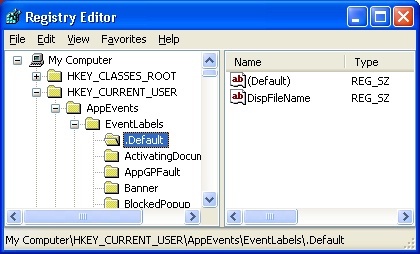 Might it be that desktop applications in the near future will store their user configuration variables in del.icio.us? 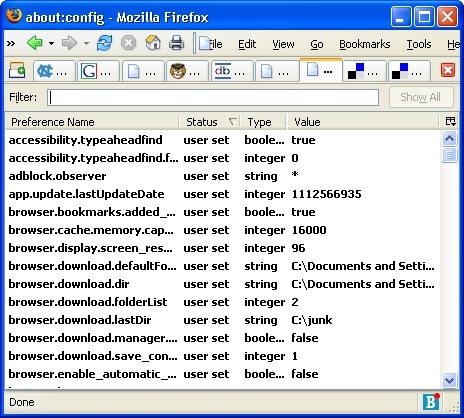 There are a lot of settings there, and if you have a copy of Firefox at home and another at work, it can be painful to keep the two in sync, manually. But suppose this application stored these parameters on the web, in del.icio.us. Your browser at home and your browser at work would have their settings kept in sync, automatically. The next question is, Why? Why would I want to have a Universal Registry that stores all of my configuration parameters? What about issues of privacy, security, reliability? I don't have the answers to all of these questions. I have showed one advantage, which is keeping desktop applications in sync. And I am sure that other important advantages will surface as we think through this idea more. But one thing is for certain: personal computing is moving from the desktop onto the web, and this is a paradigm shift with implications that are difficult to foresee -- just as we could not have predicted 10 years ago the influence of the web today. posted by Jonathan at 4/03/2005 07:30:00 p.m. I was thinking of it more along the lines of the File Allocation Table of the web, only better because of its more freeform way of handling file location as a relational database, rather than a nested hierarchy. There's not really any need for a registry of the web, as every separate application and appliance could simply store its own settings locally. Those settings which needed to be used more globally could be stored with the user. By xarbon.monoxyde, at 4/23/2005 7:23 p.m.
Hm! File Allocation Table hey? I'm intrigued but also lost. Would you give an example? By Jonathan, at 4/23/2005 7:29 p.m.